My pile/digital library of books to be read and reviewed is gargantuan. Seriously gargantuan. I never meant for it to get like this. I'm usually a super speedy reader. For me, reading over five books a week is not something new, but something normal. I've read up to fourteen books in one week before. 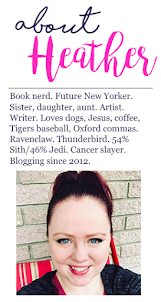 But when I first started this blog and got home from BEA all excited about being a blogger and wanting to read and review every single YA book that ever came out on the planet, I signed up for a LOT of book tours. And I came home with a LOT of ARCs. And then got A LOT MORE digital ARCs. And I'm still getting some ARCs. And then I got diagnosed with "The Big C" and everything kind of went by the wayside. I was exhausted by appointments with many, many doctors and tests with many, many needles, and didn't have the energy to read, let alone review a book. I couldn't string my thoughts together because I was so overwhelmed. Plus, the treatment has done this really weird thing to my eyes where they retain a lot of water. Extra tears and water in my eye and in my eyelids. Some days, the prescription in my glasses feels entirely wrong and then other days, it feels fine. Sometimes, I get that sore, achy feeling in them like you get when you've had your eyes dilated by the ophthalmologist/optometrist. Gradually, I started to get used to this feeling and am adapting. I definitely need to get my prescription changed, though. So my speedy reading is where it has always been. (I did, however, recently finish Infinite by Jodi Meadows in under 24 hours. Progress!) I've finished about twenty books since my diagnosis, so I have a lot of back reviews to do, but I am still swimming in books to review. This isn't to say I haven't been reviewing any of them -- I have! I've actively been working on it and requesting less, unless it's a book I just can't wait for and those inevitably get bumped to the top because I'm impatient. But I definitely have a lot to go. 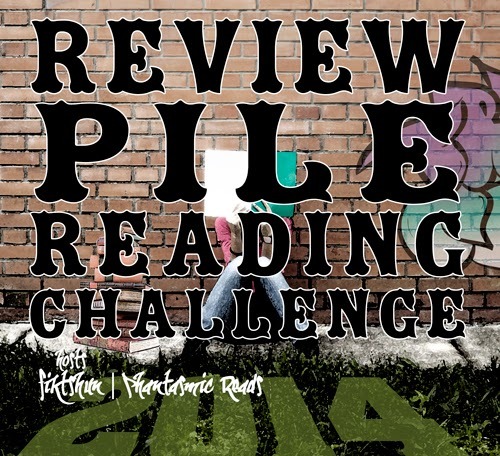 Enter the 2014 Review Pile Reading Challenge, hosted by Rachel at Fiktshun and Reanna at Phantasmic Reads! I'm super pumped about this! I have so many ARCs I'm excited to read and I think this is a great way to motivate myself to stay on top of them -- the idea for the challenge is brilliant! My goal level, as I've indicated above, is going to be Grand Master. I certainly have the ARCs for it, and I'll be going to BEA, ALA, and SDCC, so I know I'll have more. My sister lives in San Diego, and I'm hoping to visit her in a couple weeks to get away from the Michigan tundra and at least once more this year and I always read a LOT on vacation. I think this is totally doable for me. But I'm hoping that I may move up to the 40+ Adept level. I've ready twice that amount of books in a year before, so it's certainly possible.